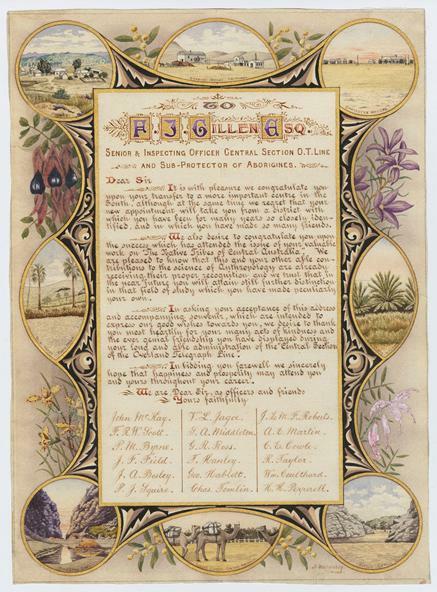 Illuminated address presented to Gillen by fellow officers of the Overland Telegraph including ink illustrations of the Alice Springs Telegraph Station, Charlotte Waters, Emily Gap, Simpsons Gap, Palm Tree, Finke River, Loaded Camels, and the Artlunga Cyanide works 1899. Roberts, J. Le M. F.